Do you know what the most common advice is for people trying to make new friends? Stop talking about yourself and ask about the other person. People love to talk about themselves, so by giving into the other person’s desire to do so, you come across as ultimately likeable. Well guess what? The same is true of landing page copy. 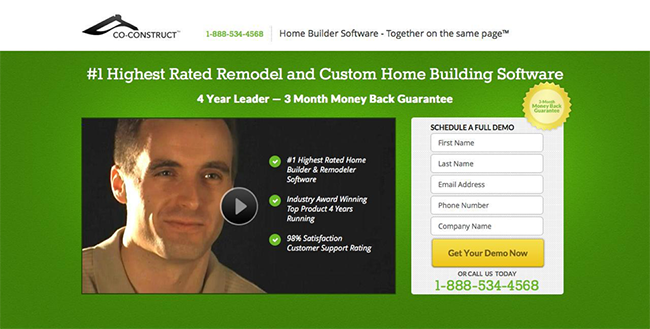 It’s an all-too-common mistake that business owners and marketers make when crafting their own campaign landing pages. When tasked with making their online business stand out from the pack, they default to shouting their own virtues from the rooftops. They think that if consumers know all about how wonderful they are (or their product is), conversions will hop right into their lap. But the harsh reality is your audience couldn’t care less. Just as you might be inclined to go on and on about how great your business is, your audience is only interested in how you can help them. It’s human nature — we are innately wired to be most concerned about number one. In other words, to engage your audience and convince them to convert, you need to write copy that appeals to their own self interests. If you can’t do that effectively, your audience will likely seek a solution to their problem elsewhere. Engage and convert your audience with copy that appeals to their own self interests. Let’s explore a few different types of self-indulgent copy — mistakes you may not even realize you’re making — and how you can do better. 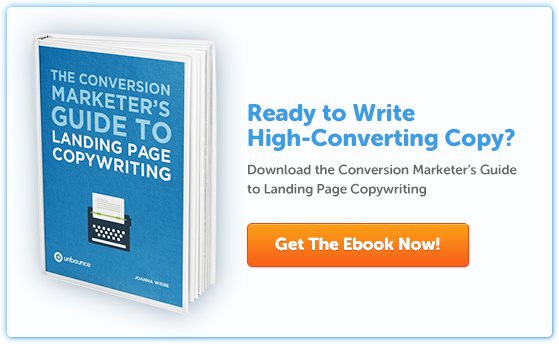 Landing page copy should be written with one goal in mind: To convince visitors to convert. If you go into it with any other motivations, you’re setting yourself up to fail. When it comes to egocentric landing page copy, there are two distinct varieties: author-centric copy and company-centric copy. Let’s dig into both. Author-centric copy can creep up when the copywriter is more interested in showing off their writing talents than writing persuasive copy designed for conversions. You may be a prolific writer with an Ivy League vocabulary and a style all your own. But once you start writing to impress, rather than to persuade, you have already lost a large chunk of your audience. Some may not understand your word choices, but the bigger problem is that you are missing the point of landing page copy to begin with. Once you start writing to impress, you’ve already lost a chunk of your audience. Note the example below. 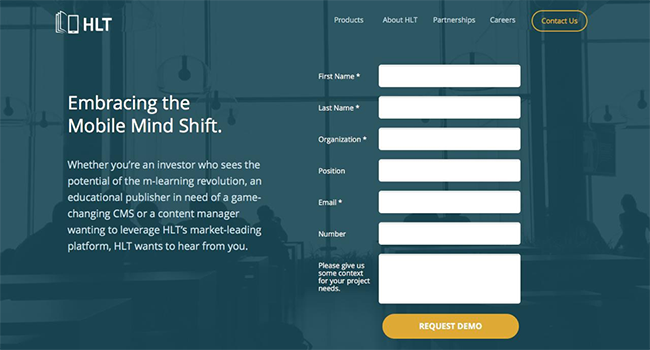 HLT is an online learning platform. After careful consideration, I figured out that this landing page is meant for it’s partner program, but it’s still hard to know what that entails or what the benefits are. The author of this copy seems to be more concerned with setting a tone than with enticing a conversion. Do you have any idea what this means? Does it entice you to fill out the form next to it? Not at all. It might be thought provoking, it doesn’t make for a very enticing headline. It doesn’t make it crystal clear what you’re going to get by filling out the form, which is a missed opportunity. While there is certainly a time and place to win readers over with your thoughtful prose and witticisms, a tightly honed landing page isn’t it. Copy containing overly flowery or clichéd language may make the writer feel good about his or her abilities, but it does very little to make potential partners feel confident that their pains are understood (or that they’ll be addressed). Why is it rated the best? Who rated it number one? What’s the unique value proposition? What can this software uniquely offer me that its competitors can’t? What specific concerns, pain points or fears does it address? How will this particular software benefit me? How will it make my life easier? By simply speaking to how great your company, product or service is, you’re missing a huge opportunity to convey what your prospect will get out of the deal. Never mistake your own enthusiasm for what will motivate your customers. So now that we know some of the more common mistakes, how do we turn the mirror away from ourselves and toward our audience? Addressing the pains your product or service alleviates and offering concrete solutions is incredibly effective in landing page copy. Chances are, your current landing page partially addresses these elements, but it’s up to you to polish each point to make them overtly obvious and benefit-driven. 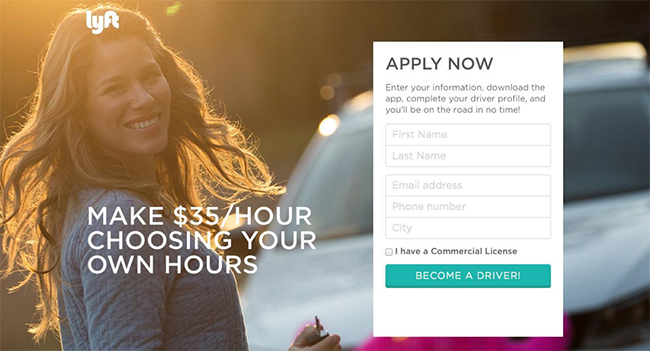 Lyft’s driver campaign combines two benefits into one super compelling headline. One of the most fundamental principles of winning people over is to stop talking about yourself, and ask about them. It is incredibly effective when it comes to making friends, and the same is true when trying to maximize online conversions. By simply asking, “What worries my customers?” or “How will my product help them?” you will be in the right frame of mind to craft much more persuasive copy. 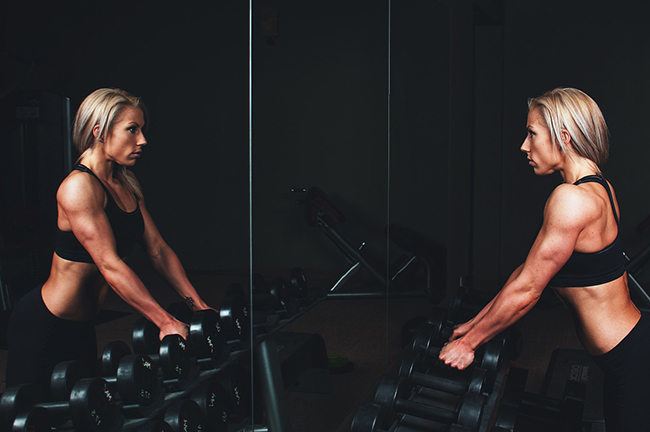 When you put your own ego on the shelf and start speaking to your ideal customer’s self interests, you can expect to see your conversions take off like crazy. Which is, ironically, a nice little ego boost. Wes McDowell is the creative director for The Deep End, a website design agency in Chicago. He loves keeping current on everything related to web design, marketing, and branding. In addition to helping clients achieve their online goals, Wes co-hosts a design-related podcast, and blogs for the design and marketing industries.